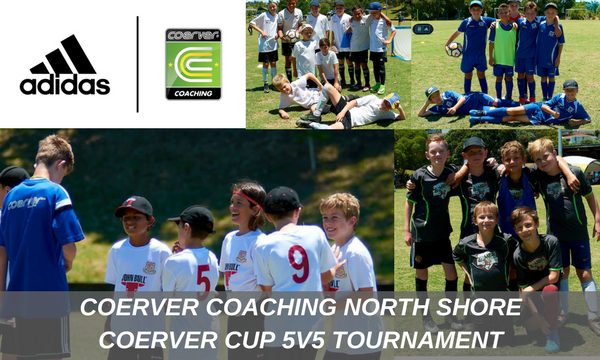 Coerver Coaching North Shore recently hosted their inaugural Coerver Cup 5-a-side Challenge. The event was held on Sunday 3 December at Mairangi Bay Park and was attended by 17 teams & over 100 players. Players were treated to a fun and exciting 5-a-side tournament and visited the Coerver Skills Station throughout the day to work on their ball mastery and moves from the Coerver Coaching Pyramid of Player Development. On behalf of Coerver Coaching, congratulations to all players and teams who participated in the inaugural North Shore Coerver Cup tournament. Click here to view all available Coerver Coaching North Shore programs.